With day-to-day life often feeling like routine, we tend not to think of the risks it involves. From the everyday dangers of accidents to the many health conditions associated with the environment, lifestyle choices and ageing; there are many risks to consider. That's why considering health insurance for Thailand. 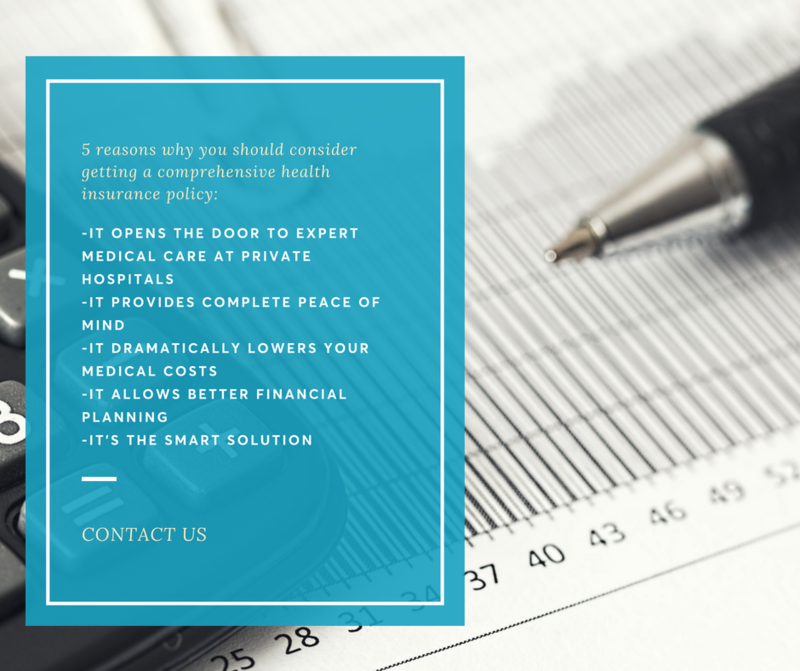 Even for expats living in Thailand who have never had any medical difficulty in the past, any one of these situations could turn your life upside down – particularly if you don’t have a safety net in the form of a comprehensive personal health insurance policy. Even in the more developed Southeast Asian countries, such as Thailand and Vietnam, local medical care at public hospitals, while generally affordable, often leaves much to be desired. In countries like Myanmar, Cambodia and Laos, public hospitals are typically substandard and are best avoided when seeking treatment. In comparison to your home country, you might be surprised by the lack of facilities available in the public hospital. Private hospitals tend to charge much more for better service, and their care becomes much more accessible for those covered by a comprehensive private health insurance plans with a multitude of levels of coverage. Mental well-being is a necessary element of good health, and the knowledge that you have excellent insurance can help reduce stress, especially at those crucial moments when you need health care. By preventing any major ‘surprise’ costs from a health condition, quality expat health insurance can set your mind at ease in a way that nothing else can. Particularly if other family members depend on you and your income, any serious accident or illness could be devastating for your household unless you have insurance. If you are the only income-earning member of the family, it becomes imperative to get yourself international health insurance in Thailand at the earliest opportunity, to keep costs down and your finances in good shape. Imagine that you are not covered by a comprehensive health insurance policy, and you need to pay huge medical bills with money that you wanted to use toward buying a car or a new home. Spending a bit of money on insurance beforehand can help you make clear and reliable financial plans for the future, rather than forking out for medical treatment in Thailand. Sooner or later, we all learn one valuable lesson in life: Don’t gamble something if you can’t afford to lose it. By the time something has gone wrong, urgent care may be needed and it is already too late to go shopping for insurance. But since we never know what the future will truly bring, the only reasonable time to buy insurance is before you need it. Being an expat in Thailand comes with many exciting twists and turns, but living in a foreign country there are lots of things you need to consider in order to fully enjoy every experience. In the past, searching for medical insurance in Southeast Asian countries such as Thailand, Cambodia and Vietnam is often complicated. At Luma Health Insurance, we offer uncomplicated and honest consultations whether by email, phone or in-person. You should ask vital questions about pre-existing conditions and direct billing. For a guide on buying the best health insurance in Thailand read our guide. Get in touch with our advisers today. How Much Does Dental Care Cost in Thailand? How to Find Jobs for Expats in Thailand?